Do you enjoy making videos? Do you want to showcase your artistic abilities? Have you ever wanted to announce a school closing for Mount Airy City Schools? Now is your chance! Please do not include dates in your video. This will allow us to have the potential to use your work for future inclement weather occurrences. 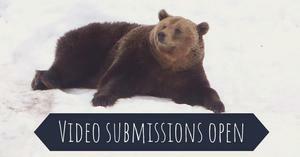 Stay tuned this winter and see if your video is selected. Include your name and grade (MACS students), or school (staff members), so we can give you a shout out if we post your announcement.